Cryptocurrencies are digital currencies formulated to facilitate secure financial transactions through strong encryption in cryptography. It is based on peer-to-peer transactions uniformly worldwide without any boundaries. 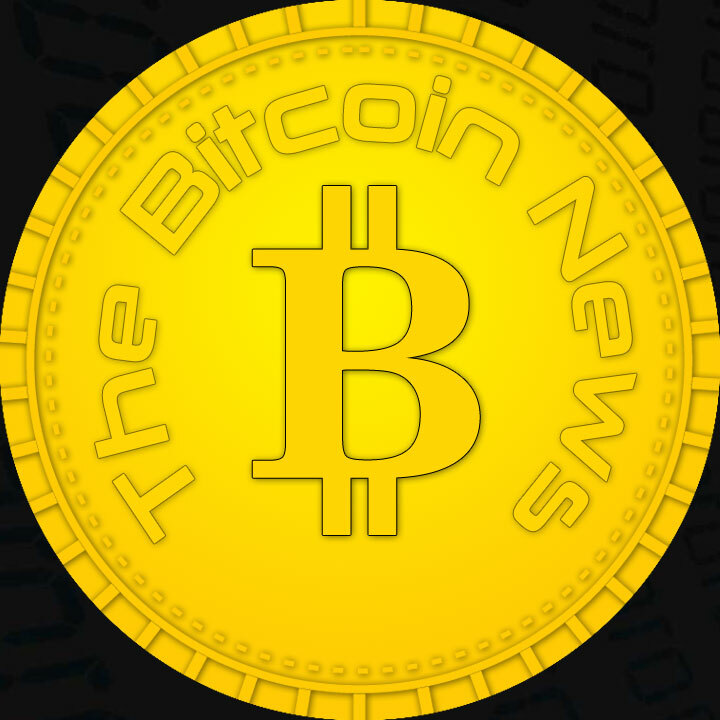 The coin prices of digital currencies are largely influenced by the media hype, fluctuations in government regulations and the digital currencies’ technical changes. Sequoia Capital is a leading venture capital firm that backs up the development of CoinSwitch. An exchange marketplace where all the cryptocurrency markets can be accessed for trading is CoinSwitch. One can trade over 400 different types of crypto coins in CoinSwitch. 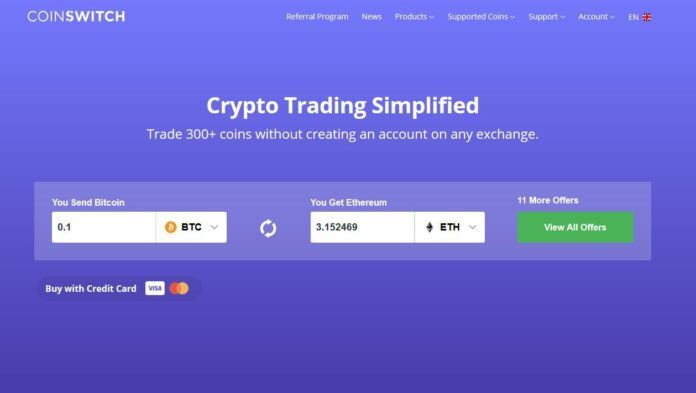 It also supports 45,000 different pairing options like BTC to ETH exchange and BTC to LTC exchange for trading cryptocurrencies. Out of these pairings, users can opt for a particular pair and compare its market prices in different exchanges and select the most feasible one. Thus, facilitating the users to compare and trade in one place eliminating multiple account creation in different exchanges. All the basic information regarding cryptocurrencies and how they work is clearly available in CoinSwitch for beginners reference. Advanced information like price charts, price predictions and market trends required for all cryptocurrency enthusiasts are also available. There is all the relevant information necessarily required to carry out cryptocurrency trading. CoinSwitch charges a very nominal fee for the transaction depending upon the exchange you choose. CoinSwitch promises to provide a seamless experience to trade over different trustworthy exchanges. CoinSwitch allows users to buy over 100 cryptocurrencies for credit cards and fiat currencies. It is usually recommended to buy Bitcoin with credit card to start with; it supports fiat currencies like Euros, US Dollars, Japanese Yen and Ruble. Using CoinSwitche’s gateway different crypto exchanges are accessible for new and experienced users. There are currently over 200 different cryptocurrency exchanges operating worldwide. It is impossible to keep track of all of them or compare prices individually in each of them. CoinSwitch is a cryptocurrency exchange aggregator which allows you in cryptocurrency trading by comparing different exchanges all over the world in one click. Some of the famous exchanges which coinSwitch compares are HitBTC, KuCoin, ShapeShift, Changelly, Bittrex and more. One more unique feature about CoinSwitch is that it is a non-custodial exchange which means traders can use their own respective cryptocurrency wallets for trading. This facility protects the wallets from being hacked. Another essential feature which makes CoinSwitch stands apart is that it is a custom crypto exchange by meaning without the need for any coding owners of the websites can add an instant exchange page to their website. Through this feature, the owners of the websites are eligible for a 50% profit paid through Bitcoins for all the transactions performed through the custom crypto exchange. CoinSwitch has made investing in cryptocurrencies very easy and simple. Buying and selling cryptocurrencies is made so comfortable and straightforward. Such attributes of CoinSwitch makes it the largest crypto exchange aggregator in the world. CoinSwitch never asks the users to disclose their identity for any transaction, thus facilitates in anonymous transactions seamlessly. A one-stop destination for all your trading needs of cryptocurrencies is CoinSwitch. Though cryptocurrencies may seem to be a fancy world, one cannot deny the highly volatile nature of the crypto market.